It’s the world’s second-most spoken language, but why learn Spanish in Malaga. According to Babbel, “if you want a language that will open up whole continents to you, Spanish is your best bet”. 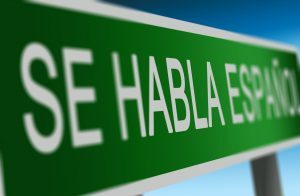 As well as opening doors to you, learning Spanish isn’t too difficult and it sounds nice. So, if you’re a linguist, want to get to know the locals better or just fancy a new challenge, why not learn Spanish in Malaga? Read on to discover 10 reasons why you should pick Spain’s sixth largest city to learn the lingo. Malaga Airport has a great choice of flights from northern Europe and all year-round. So, it’s easy to find a flight at any time of year and if you choose the right month, cheap too. This would be our top reason to learn Spanish in Malaga. We can’t think of a nicer and friendlier city to learn a new language. So much to do and see. Lots of events all year round. Every year, thousands of students choose to learn Spanish in Malaga and as a result, there are plenty of language schools throughout the city. Malaga City Council publishes a list here. When choosing yours, take some time to compare location, prices, hours of classes and facilities. Then take a look at online reviews and see what other students have to say. And don’t forget to have a look at the student profile to find out if your fellow language learners are older or younger. Cervantes Escuela Internacional is one of the best places to learn Spanish in Malaga. The school has a great location, just a short bus ride from the centre and 50m from the beach. Add to this facilities and classrooms in a traditional Malaga house, the latest teaching technology and highly-qualified staff and all the experience that goes with one of the oldest language schools in Malaga. Courses suit you – all levels, Senior +55, learn Spanish as a family, specialist courses such legal or business Spanish… Tutors adapt to your requirements and you get all the materials you need including in-home learning tools. And if you need help with accommodation, staff at the Cervantes Escuela Internacional will be only too pleased to help out. Get in touch with the school online or by phone on +34 952 295 378. Feeling at home is an important part of travelling anywhere and Malagueños are well-known for their particularly warm welcome. They’ll not only love that you’re learning Spanish in their city, but be happy to help you out when you come unstuck. When you’re learning a new language you want to get maximum opportunities to try it out. Unlike other resorts on the Costa del Sol, Malaga has kept its true Spanish character and remains very authentic. This means that, as a language learner, you won’t find yourself surrounded by other foreigners all speaking your language. You will actually have to speak Spanish. Lots of venues in Malaga run language exchanges during the week. These are meet-ups where you speak your language for half the meeting and practise Spanish for the other half. You get to meet new people, practise your Spanish and it’s free (what’s not to love there?). One such venue in Malaga is Artsenal on Muelle Uno – see their Facebook page for details about their weekly language exchanges. 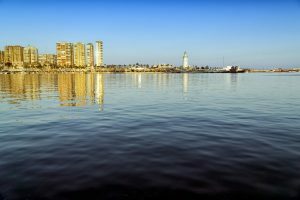 Unless some of resorts on the Costa del Sol, Malaga offers amazing value for money. You can eat out well and cheaply, and do lots of things free or without breaking the bank. So, if you’ve chosen to learn Spanish in Malaga, you needn’t worry about it being an expensive holiday. We can’t quite put our finger on it, but Malaga is one of those cities that people fall in love with. Don’t be surprised if you do too. Once your language course has finished and you’ve gone home, you’ll probably be thinking about another visit. And hopefully with a few more words of Spanish!